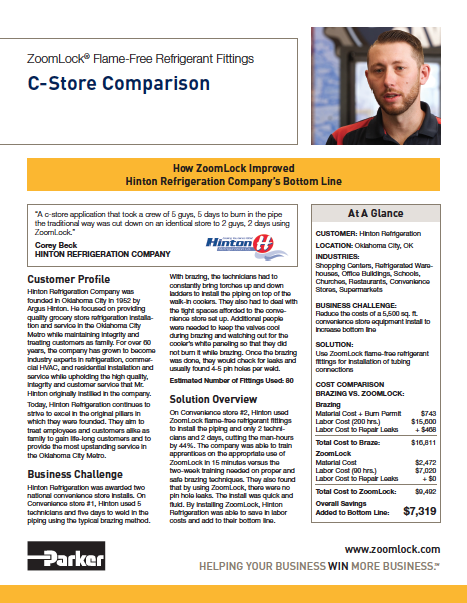 See what actual contractors have to say about using ZoomLock on their projects. Discover how ZoomLock flame-free refrigerant fittings can help you be more efficient and productive. Everything you want to know about ZoomLock. “We can complete the job faster, with no torch, solder or fire extinguishers, no leaks and use less experienced techs to complete the piping project. 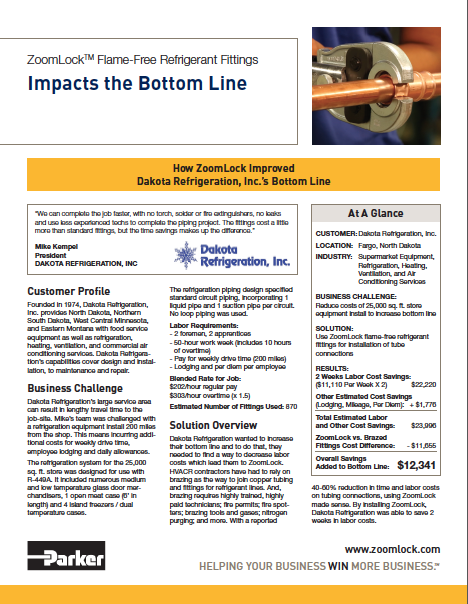 The fittings cost a little more than standard fittings, but the time savings makes up the difference.” – Mike Kempel, President, DAKOTA REFRIGERATION, INC.